This Item Includes: Maximum Flexibility: The perfect low cost way to capture from professional broadcast decks directly to SD and HD H.264 files! 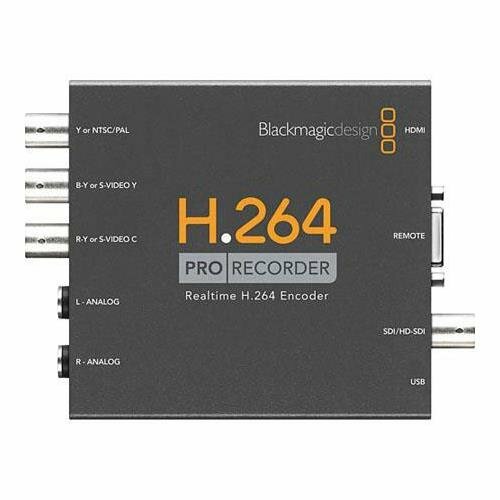 Highest Quality Video Capture: H.264 Pro Recorder allows you to select between SDI, HDMI and analog component video inputs with selection between inputs. You can select to take audio from the SDI, HDMI or stereo balanced analog audio input jacks. Preserve Archive Footage: Old videotapes are delicate and have a limited life. With old videotapes deteriorating and decks that can play them getting rare, encoding video is the only way to preserve valuable footage.